Authorities said at a Monday news conference that they believe Bailey teenager Maggie Long was burned alive inside her family’s home in December 2017 and that there are three suspects in her murder who remain outstanding. 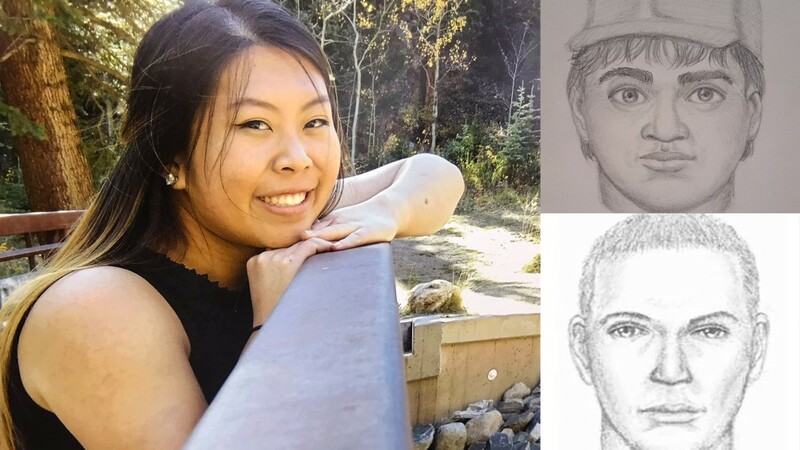 LAKEWOOD, Colo. – Authorities said at a Monday news conference that they believe Bailey teenager Maggie Long was burned alive inside her family’s home in December 2017 and that there are three suspects in her murder who remain outstanding. The agencies that have been working the case for more than a year now – the Park County Sheriff’s Office, Colorado Bureau of Investigation, Federal Bureau of Investigation, and Bureau of Alcohol, Tobacco, Firearms and Explosives (ATF) – unveiled a website Monday to help gather more tips that could lead to the arrest of the suspects in Long’s death. Park County Sheriff Tom McGraw said at the news conference that Long, who was 17 when she was killed Dec. 1, 2017, was purposely set on fire and burned alive. McGraw said that authorities have ruled out “hundreds” of persons of interest but have identified three possible suspects in the case. The authorities also released a new sketch of a second alleged suspect in the case and released new photos of vehicles similar to those seen near Long’s family home in Bailey on the day she was killed. McGraw said more sketches could be forthcoming. Last year, the same authorities said that several guns, a gun safe and jade figurines were stolen from Long’s home on the day she was killed before it was set on fire. But on Monday, they elaborated, saying that they believe that there was a “physical altercation” between Long and the suspects , which the suspects then tried to cover up by lighting the home on fire. “Law enforcement believe the intent of the fire was to conceal actions of these assailants, such as the physical altercation and subsequent robbery,” the authorities wrote on the newly-created website seeking tips. The reward for information leading to the arrest of the suspects stood at $50,000 as of Monday. McGraw said that “one or more” of the suspects might have been injured in the fire, and he said he believed all three could have significantly altered their appearances, sold vehicles and possibly moved since December 2017. He said the suspects might show interest in the case or could intentionally avoid coverage of it. According to the website , the new suspect sketch came from a description of a man seen in the passenger seat of a Chevrolet Astro-type work van. Another witness also reported seeing vehicles similar to an early-90s Ford Aerostar van and a late-80s Ford F-150 leaving the area of the family’s home on the day Long was killed. 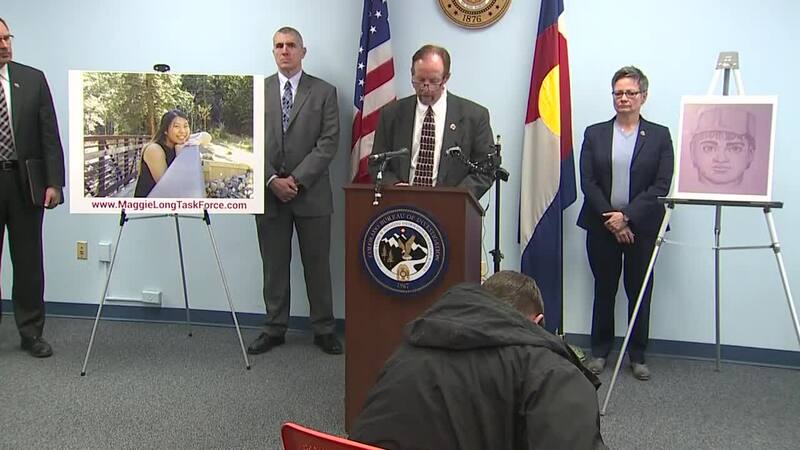 McGraw said the case was sill active and called the investigation “methodical and time-consuming.” He said that there will be billboards going up across the Denver and Colorado Springs areas promoting the tips website and asking for information. The Park County Sheriff’s Office is hosting a community meeting about the case at Fitzsimmons Middle School in Bailey Tuesday at 7 p.m.
Long was reported missing after she failed to show up to a concert at her school, Platte Canyon High School, in December 2017. Officers discovered Long’s body that night, but it wasn’t until Dec. 4 that the county coroner publicly said Long was dead and identified her. For more information on the case and to report a tip, click here to access the new website.